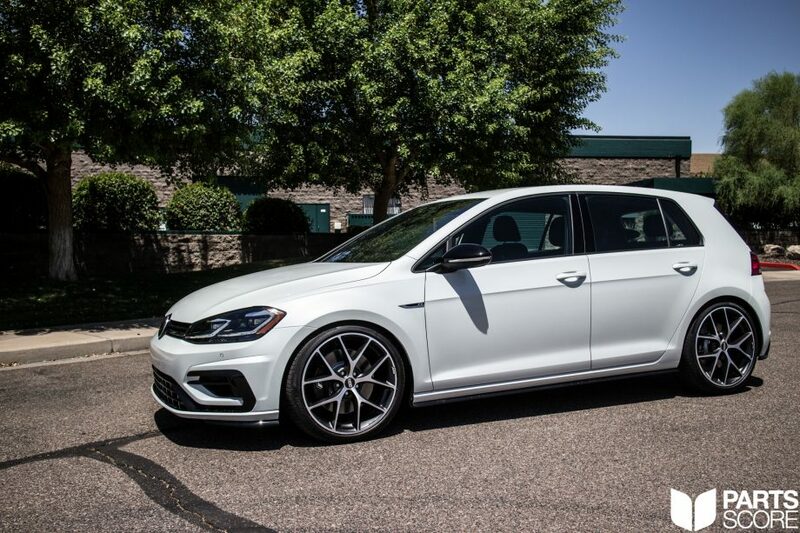 Cars are one of the most visible extensions of our personalities and the customization possibilities are endless, Connor is starting things off right on his brand new 113 mile MK7.5 VW Golf R with a set of BBS SR Wheels and H&R Sport Lowering Springs. 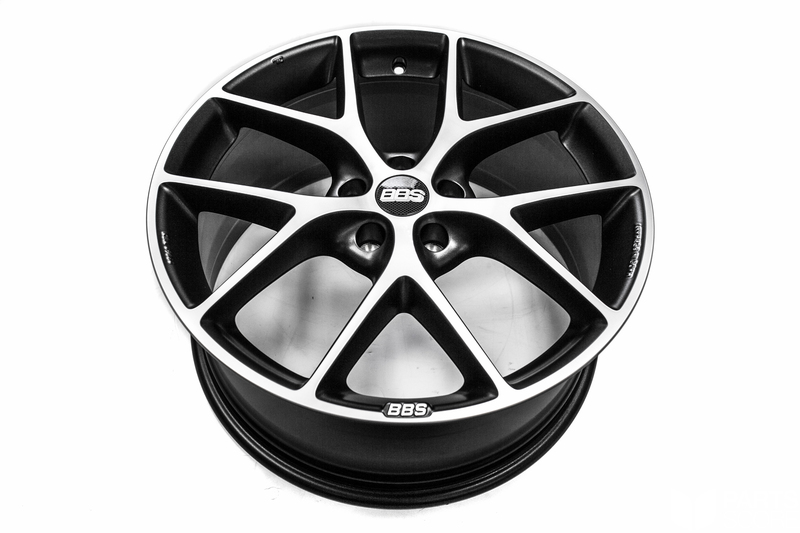 The BBS SR028 is part of the newer Design Line of wheels from BBS. These wheels combine the expertise and innovation that BBS is known for with lightweight and cost effective low pressure casting methods. Ultimately with this wheel lineup BBS is now able to offer wheels at an incredible price point and the Design Line stands out when stacked up against the competition; both from an aesthetic and low cost perspective. If the wheel options from the Design Line do not fit your needs Parts Score also carries the full lineup of BBS Forged Single Piece, Forged 2 Piece, and Flow Form Performance Line wheels such as the FI, FIR, LM, LM-R, RS, CIR, CHRII, and many more. If you would like to learn more about the various types of BBS wheel production methods click here to read a more in depth article. 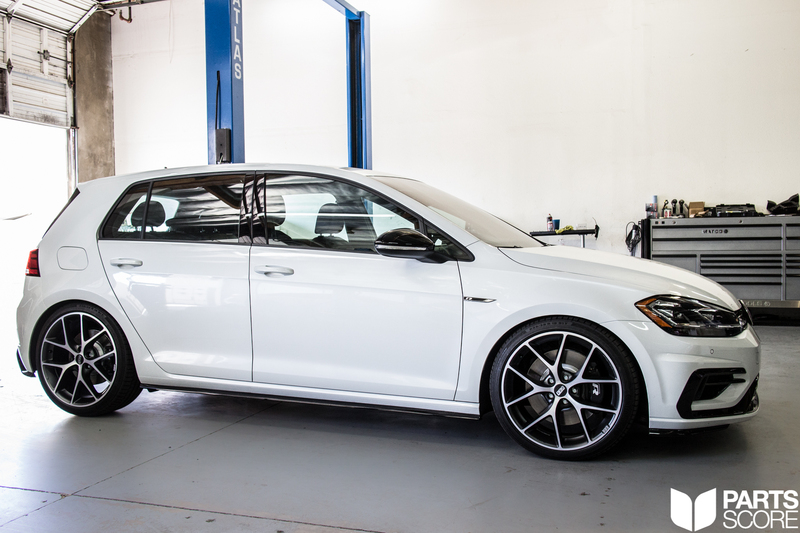 In addition to wheels one of the best mods for your brand new Golf R is a set of H&R Lowering Springs. 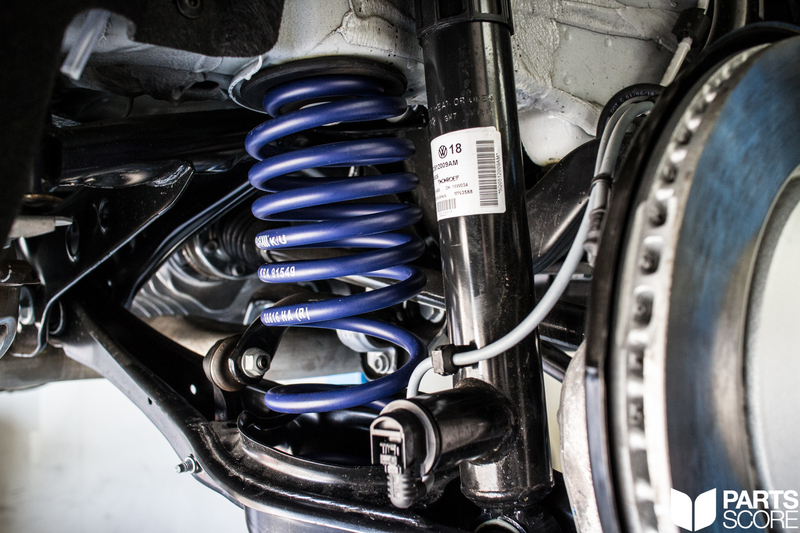 Working directly with the factory DCC(Dynamic Chassis Control) dampers the Sport Springs lower the Golf R by a full inch. 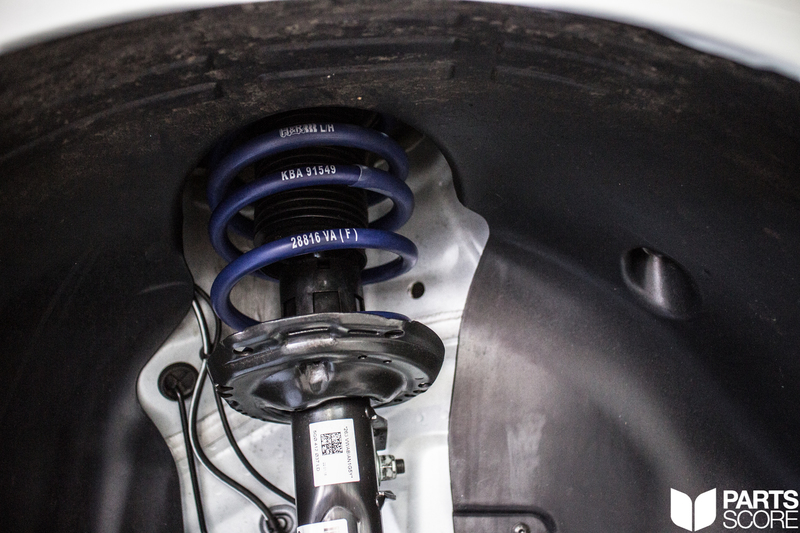 This small adjustment gives the Golf R the perfect stance and improves handling potential on the street and the track. All H&R products are made in Germany and are always designed to be vehicle specific, ensuring perfect fitment on every application. In addition every H&R product is TÜV certified. 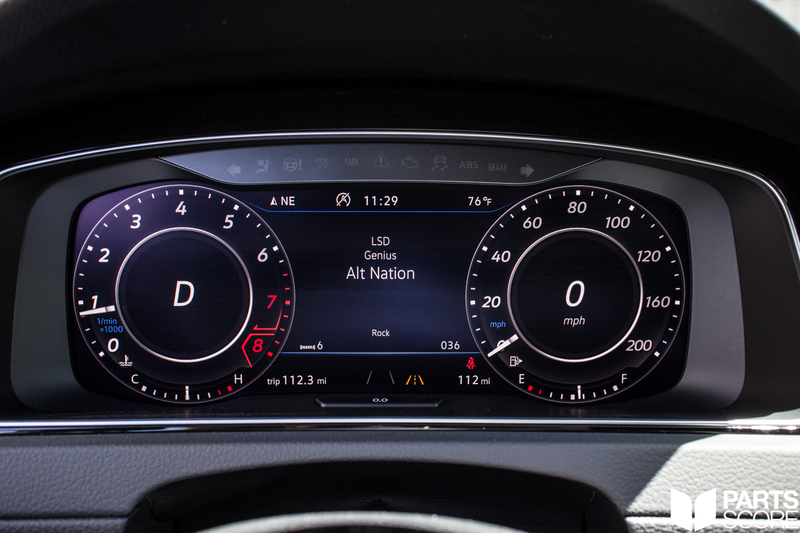 In addition H&R’s diverse lineup of products are available for nearly every German car sold in the last 30 years, so no matter what you drive H&R has you covered! 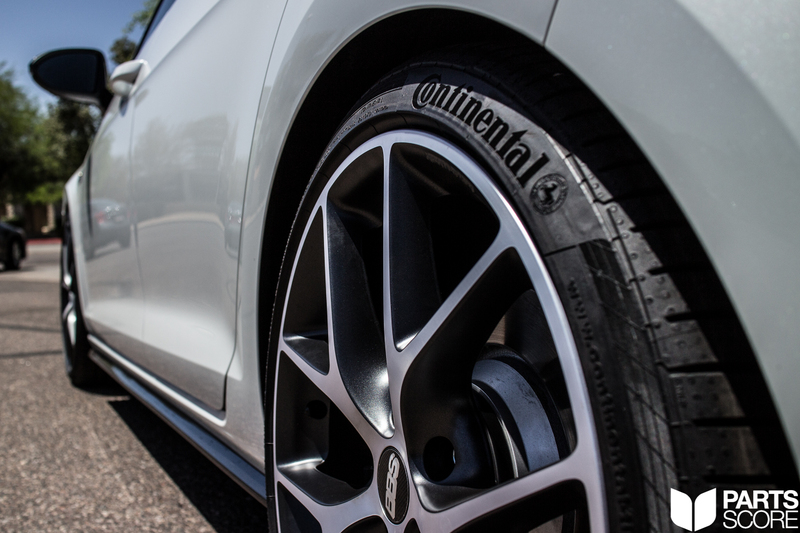 Below are a selection of photos featuring Connor’s MK7.5 Golf R on BBS SR028 Wheels & H&R Springs. 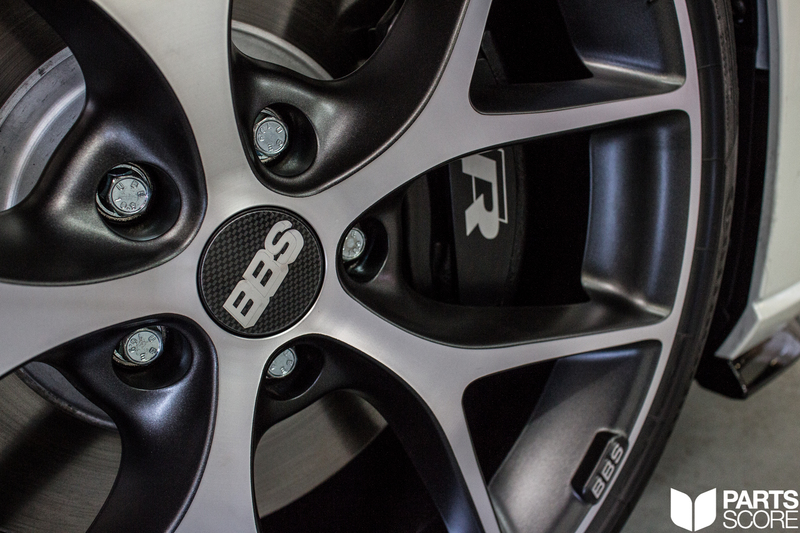 The BBS SR 028 Wheel in 19×8.5 ET46 with Volcano Grey & Diamond-Cut face. 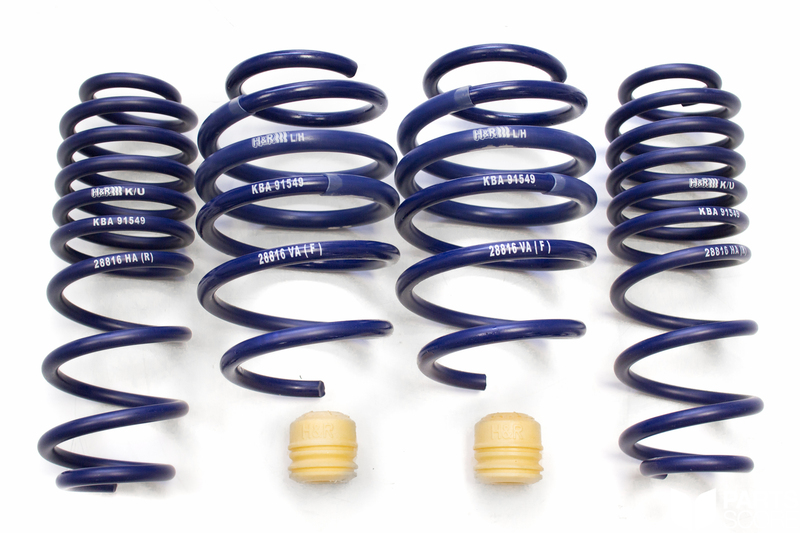 H&R Sport Springs prior to installation on the MK7.5 Golf R.
112 miles! Brand new off the showroom floor. From old to new Parts Score has you covered. 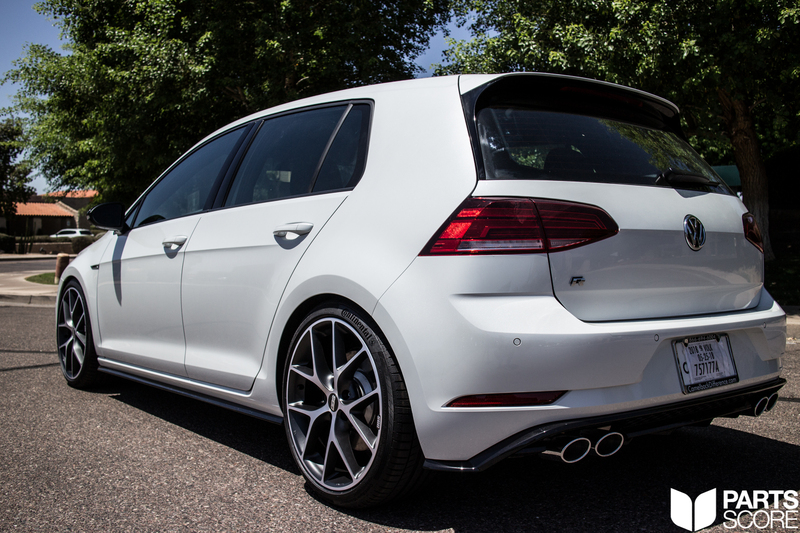 Rear H&R Springs installed on the MK7.5 Golf R.
Wheels and a drop go a long ways to improve the looks and handling of Connor’s Golf R.
Closeup of the BBS SR 028 wheel. We cant wait to see Connor’s MK7.5 Golf R back in the shop for more modifications!